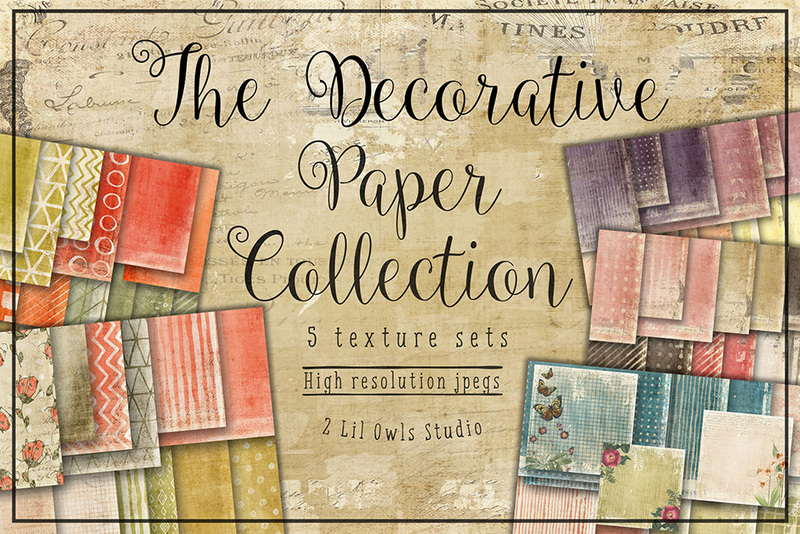 This massive 5-part decorative papers set features hand-crafted gorgeous papers that are perfect for blog backgrounds, card making, photo framing, scrapbooking, and so much more! These papers can be used as both backgrounds or textures, giving your work a charming, hand-made feel. All textures are 12×12 high-res .JPG files, 300 PPI. Software compatibility: .JPG files work with most graphic softwares. File size is approx 234.9MB (251.7MB unzipped), offered as a single download.